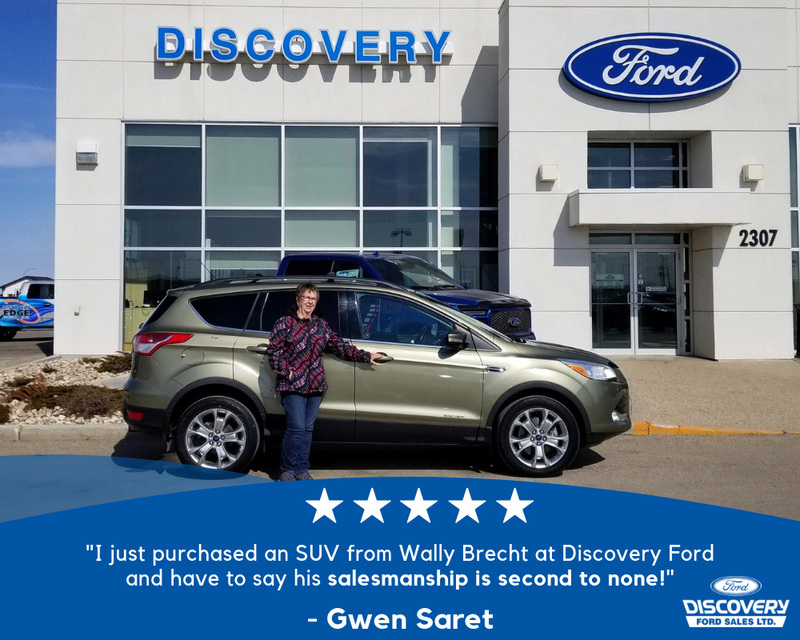 My name is Sarah King and my experience at Discovery Ford Sales was amazing. 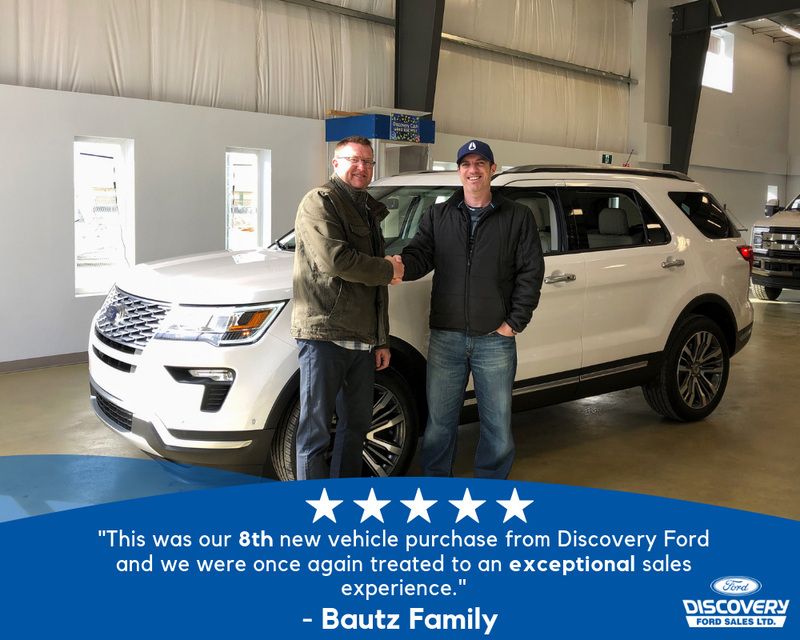 My car was not cutting it for what I needed so I went to Discovery Ford Sales just to see if I could trade my car for something more reliable. The staff was very helpful and friendly. 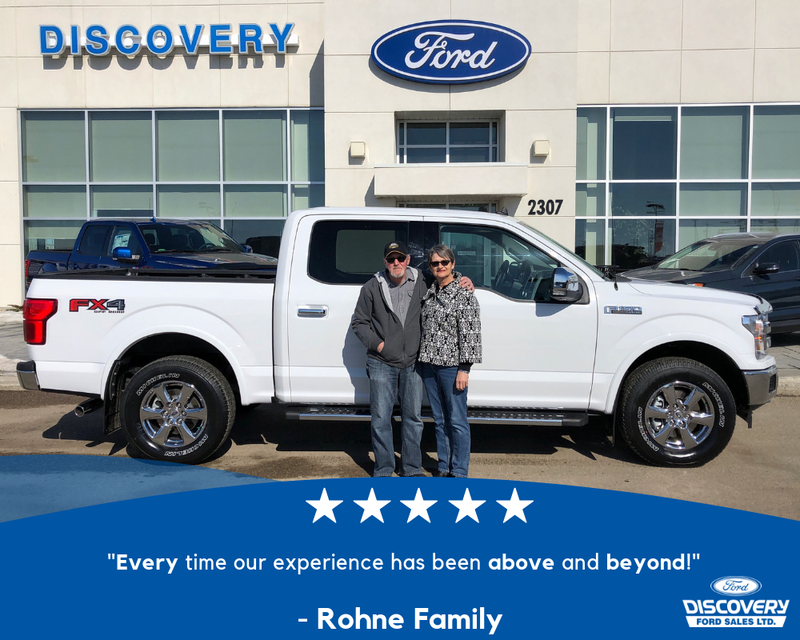 They went above and beyond their service to get me into a reliable vehicle as well as they knew all the answers to my questions. When I drove off in my new vehicle they made me feel like part of the family. 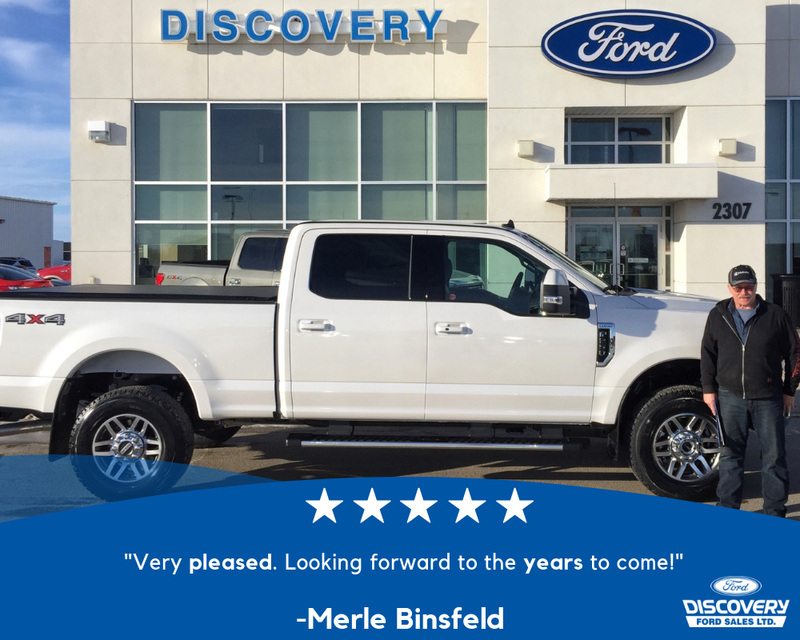 A big shout-out to Betty Becker and Dudley Warford for their amazing service. I am very happy with my vehicle and it is all thanks to them. I wanted to let you know how appreciative I am to your service staff for the extra effort they put into my truck repair on the October 24th. We were in the Humboldt area hunting and on the last day our truck died at 4 am on Saturday. My friends were anxious, to say the least, to get home and we had no idea of when that would happen. In the states I don’t think there is a dealer open after noon on Saturday so finding you open until 5 was very promising. Christine Miller was a great help and moved things around so Richard could continue to work on our vehicle. I know we may have been a little pushy but my friends were pretty desperate to get back home. Christine was very gracious and your technician top notch. Richard explained how he found the problem, a broken wire, and clearly was quite proud of that, as were we. We had a trailer with all our stuff in it and asked if we could rent a car until the repair was completed. Not having any rentals Dan Hinz found us a truck so we could get our trailer back to our hotel and said we could keep it until Monday. I have no doubt he would have let us keep it until repairs were complete. Once again, thank you and your staff for service above and beyond. You have some great people working there. Thanks for taking care of us today … Both Lorraine and I felt well looked after and appreciated your relaxed, professional approach. Never did we feel pressured, we felt well informed as you were able to answer all our questions. You made the trip to Humboldt well worth it. Thanks again … all the best! P.S. We will recommend you and your dealership to family and friends. Truly a nice and down to earth guy! Thank you Clayton and Dawn for everything! ?. and forgot to mention Betty in finance! She is a sweet heart as well! I love dealing with discovery. Way better than any other dealership I’ve been to! Talk about amazing Customer Service!! We were on a tight time-line. 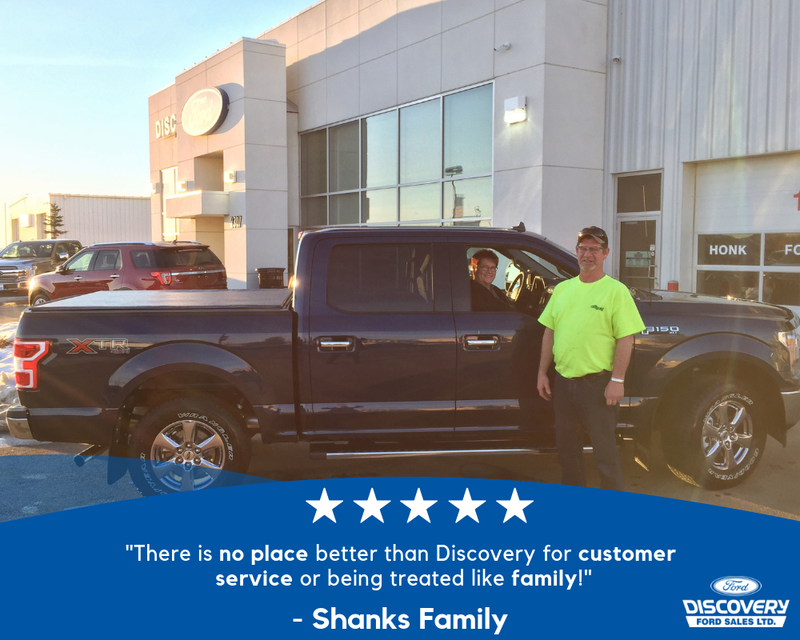 They arranged all the paperwork for the truck we picked out, and arranged an after hours pickup, drove us 2 hrs out of town to the dealership to pick it up and were so very friendly while keeping in constant contact. They worked so hard for us and went above and beyond. In a day Customer Service always seems lacking, I’m extremely impressed!! 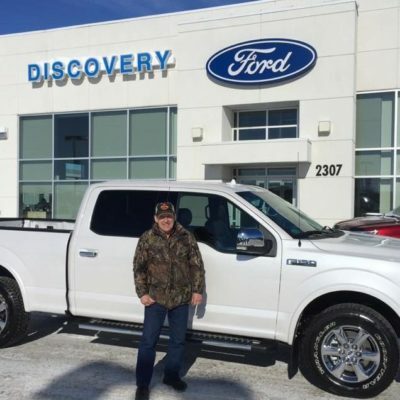 We LOVE our new F150 EcoBoost. I am a client of Dawn Bergermann. 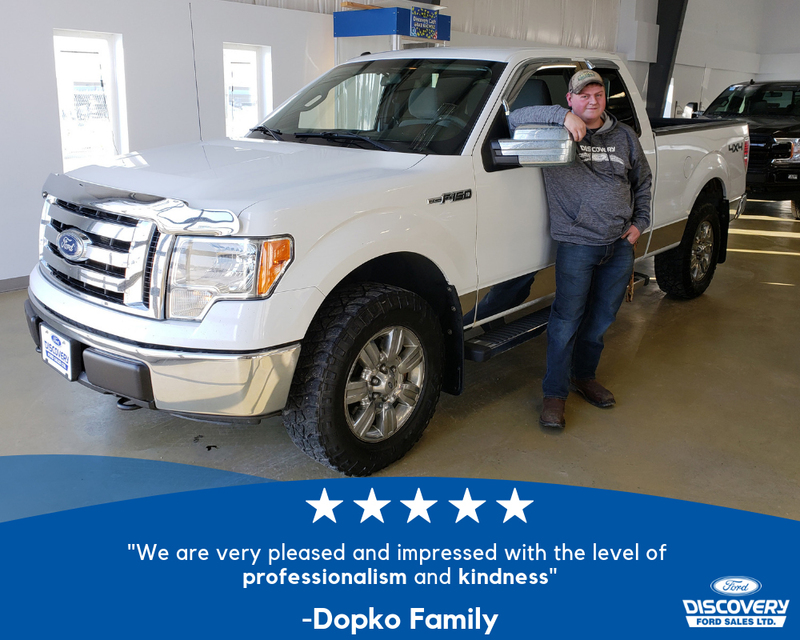 Right from the beginning, she listened to what we wanted in a vehicle – price, perks, all the specifics 🙂 She promptly found us a Ford Flex and was sure that it was in the best condition – clean and ready to drive – then brought it to us in Saskatoon to test drive. We loved it and closed the deal shortly afterwards. 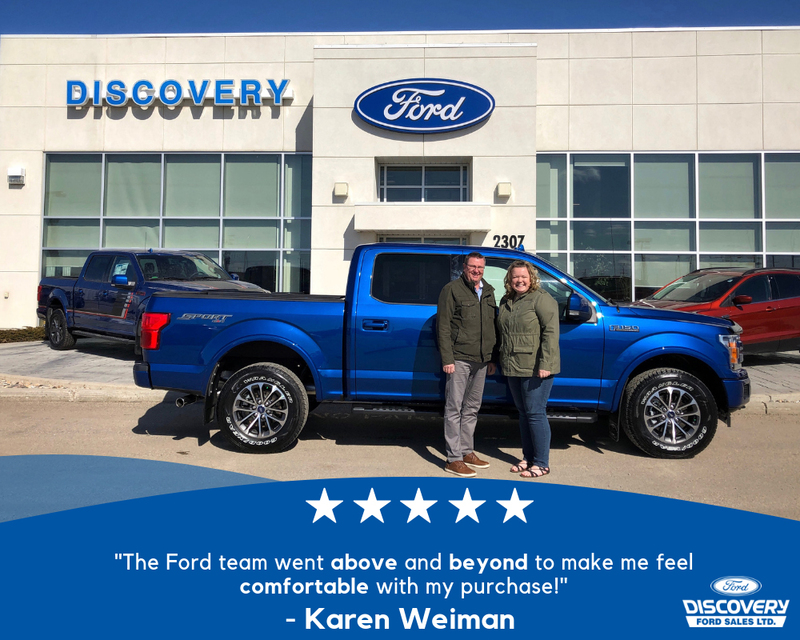 Since buying it, we have had some bad luck with strange sounds and odd happenings but Dawn has been there every step of the way with any questions or concerns we might have. She has made herself readily available through text, phone or email – anytime. She responds quickly with an answer or a solution and acts on it immediately. She has gone out of her way (literally) to be sure our vehicle is serviced and sends drivers – or comes herself – to pick up and return our vehicle when service was needed. I have been so pleased with the service we have received. Dawn has really gone above and beyond.